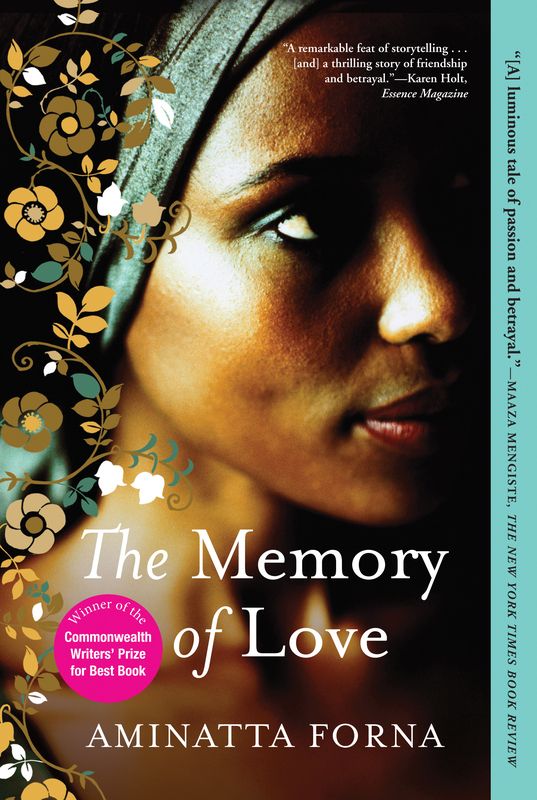 From the award-winning author of The Devil That Danced on the Water and Ancestor Stones comes The Memory of Love, a beautiful and masterfully accomplished novel about the resilience of the human spirit and the driving force of love. 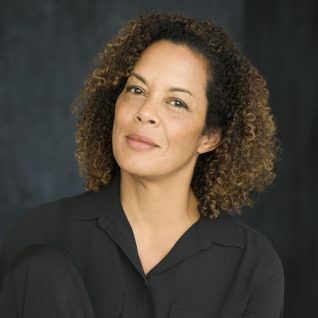 Aminatta Forna’s The Memory of Love has been hailed as a book of rare beauty and importance, and was shortlisted for the 2011 Orange Prize for Fiction. With astounding depth and elegance, it takes the reader through the haunting atmosphere of a country at war, delicately intertwining the powerful stories of two generations of African life. 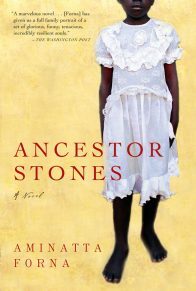 In contemporary Freetown, Sierra Leone, a devastating civil war has left an entire populace with secrets to keep. In the capital hospital Kai, a gifted young surgeon is plagued by demons that are beginning to threaten his livelihood. Elsewhere in the hospital lies Elias Cole, a man who was young during the country’s turbulent postcolonial years and has stories to tell that are far from heroic. As past and present intersect in the buzzing city, Kai and Elias are drawn unwittingly closer by Adrian, a British psychiatrist with good intentions, and into the path of one woman at the center of their stories. A work of breathtaking writing and rare wisdom, The Memory of Love seamlessly weaves together the lives of these three men to create a story of loss, absolution, and the indelible effects of the past—and, at the end of it all, the very nature of love. On the iron-framed bed a single, scant sheet has moulded itself into the form of the human beneath. On top of the bedside cabinet, a small pile of spiral-bound notebooks sits alongside a vase of flowers, bright-coloured and plastic. The notebooks are worn from handling, the leaves rippled with damp. In the atmosphere of the room the memories of a man float and form. The man in the bed is telling a story. His name is Elias Cole. Adrian listens. He is new here. I heard a song, a morning as I walked to college. It came to me across the radio playing on a stall I passed. A song from far away, about a lost love. At least so I imagined, I didn’t understand the words, only the melody. But in the low notes I could hear the loss this man had suffered. And in the high notes I understood too that it was a song about something that could never be. I had not wept in years. But I did, there and then, on the side of a dusty street, surrounded by strangers. The melody stayed with me for years. This is how it is when you glimpse a woman for the first time, a woman you know you could love. People are wrong when they talk of love at first sight. It is neither love nor lust. No. As she walks away from you, what you feel is loss. A premonition of loss. I never thought I would hear that tune again. Then a month, or perhaps it was two months ago, as I sat alone in the room in my house that serves as a study, the window was open, and through it faintly, I heard somebody whistling the tune and singing pieces from the refrain. A woman’s voice. The very same tune from those years ago. I shouted for Babagaleh, who for once came on the first call. I sent him down into the street to find whoever was whistling. He seemed to be gone for ever. And all the time I waited what could I do but sit and listen to my heart keeping time with my impatience. The person Babagaleh brought to me was a builder, a Fula, dressed in torn trousers, bare of chest and covered in cement dust, which reminded me of funeral ashes. Babagaleh ushered him off the carpets, but I called him close again. I asked him to sing and he did, some other tune. I wouldn’t have put it past Babagaleh to have called the first person he saw from the gate. I hummed a few of the notes, as I remembered them. And then the man in front of me sang, and there was the tune and his voice, girlish and high. After he had sung for me, I asked him to tell me the meaning of the words. The song was indeed about loss, but not of a woman. In the song a young man longed for a time past, a time he had only heard about in the words of those who’d lived it, a time of hope and dreams. He was singing of the life lost to him, because it had been his misfortune to be born much later, when the world was already a different place. I had woken later than usual that morning. Babagaleh had been up for hours. A Muslim, a northerner, he’s up with the call to prayer by five every morning, which is one good thing about him. Also, he doesn’t drink and is an honest man, which is more than you can say of many. Quick to temper, though, those northerners. I called him to take a bucket of hot water to the bathroom, so I could shave. These days there is no hot water, we’re lucky if there is water at all. The taps run dry, as had been the case for the last few days. We kept a barrel at the back of the house for such contingencies. “Today is Friday,” he replied as he filled the sink and prepared to withdraw. I was still in my pyjamas, sitting on the edge of the bath, summoning the energy to lift myself up and reach the sink. Of course, Friday. Babagaleh would be at the mosque. No one to help me all day. No reply, which meant he intended to do just as he pleased. He poured the water into the sink and set down the bucket, came and hovered over me like a bluebottle. I waved him away. When he had gone, I took a breath, as deep as my lungs would allow, and levered myself up with the aid of the towel rail. Four steps to the sink. I rested my hands on the edge of the porcelain, steadied myself on my feet and stared into the mirror. The pale hairs on my chin gave my face an ashen cast. I leaned forward and pulled down each eyelid. My eyeballs were yellow, streaked with red. Admirable colours in a sunset, perhaps. The night before, as on other nights, Babagaleh arranged the pillows behind me. By then I was forced to sleep virtually upright. I had lain gazing into the black listening to the creaking of my stiffened lungs, the air whistling through the tubes, like a piece of rusted machinery. I picked up my shaving brush, wet the bristles and lathered my face with soap. The razor was less than sharp and pulled at the hairs, dragging them out of the loose folds of skin. Where the furrows were deepest the razor slid over the wet hairs. I stuck my tongue into the side of my cheek and with my left hand pulled the skin taut. When I had finished, I splashed the water in the basin over my face. It was still hot; I luxuriated in the feel of it. Afterwards I looked again in the mirror. The blood welled up in a number of nicks in my skin. Over the years my skin had grown thinner. It hung down, beneath my eyes, under my jaw, sliding off the bones of my face. I squeezed toothpaste on to my toothbrush and attacked my teeth. Blood on the bristles. My gums had shrivelled away, like slugs in the midday sun. When I was through, I rinsed my mouth and spat into the basin. Then I pulled the plug and watched the toothpaste, bloodstained suds, hairs and water swirl away down the hole, like so many lost years. When Babagaleh returned from the market I was sitting on the unmade bed, struggling into my clothes. The effort of getting dressed had provoked in me a coughing fit, the sound of which must have brought him to the door of my room. Wordlessly he set down the tray containing my medicine, a jug of water and a glass, poured a little of the water and helped me to take a few sips. Gradually the coughing subsided. Then I sat still, submitting to his ministrations like a child or a halfwit. He freed my left arm from where it was trapped in the shirtsleeve, then he buttoned the cuffs. I pushed away his hands, insisted on buttoning the front myself. He bent and rolled a sock over each foot, pushed them into my shoes and tied the laces. Starched white shirt. Black trousers. Proper footwear. I could shamble around, unshaven, wearing stained pyjamas, like my neighbour opposite. All over town, you see them. 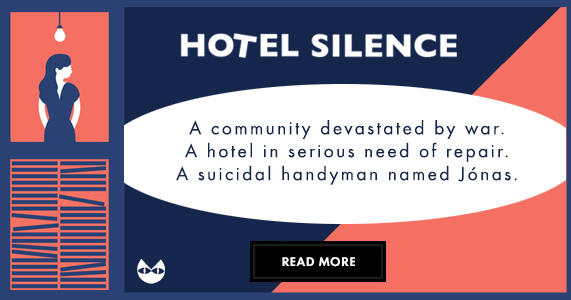 Slumped on the balconies of their homes, amid the traffic fumes, staring into space, gradually being covered in a layer of dust from the street. The living dead. As I left the room I caught a glimpse of my own reflection in the dresser mirror. A straw man in the half-light. The shirt and trousers billowed out above and below my belt. Every week I pulled the belt a notch tighter. A smear of blood on the collar of the shirt. What to do? I could not go through the effort of changing my clothes again. I expected no visitors. Babagaleh came to tell me he was leaving. He was dressed for the mosque, wearing a long djellaba of pure white, leather sandals and an embroidered round hat of deep blue. It occurred to me, not for the first time, how easy it would make life to be able to dress like that. Each day Babagaleh performed his simple duties; on Fridays he took his place in the second row in the mosque. A day off every other week. Once a month he went to visit his wife. Though they had long since gone their separate ways, only last year he’d paid for a new roof and window frames. Together they drank coffee and spoke of their grandchildren. Before he left Babagaleh returned carrying another tray, this time holding a Thermos of tea, a loaf of Fula bread, margarine, a pair of hard-boiled eggs. He poured me a cup of tea and loaded it with sugar. Like all his kinsmen he holds to the belief that sugar is heartening. He walked the length of the room partially drawing the curtains against the coming heat, left without speaking again. I sat for a moment or two sipping the tea, aware of my sudden solitude. Thoughts like weevils burrowed into my brain. Nothing I did could shake them out; at night they forced me awake just as often as my bouts of breathlessness. There is nothing new in this, I’m sure. A condition of age. A consequence of insufficient occupation. White-painted walls. Dark-wood floor. Parquet. It had cost money to have that laid. Over by the window, visible beneath the coat of wax, a parallelogram of bleached wood where the sun entered. A fringed, dark-red rug, with its own matching diamonds of sunlightened wool. A pair of planter’s chairs bought from the Forestry Commission thirty years before. Tooled red-leather pouffes, cracked and mildew-stained. Increasingly I found it hard not to look around the place and do the sums in my head of what it might all fetch in a sale. One day I watched Babagaleh shaking out the curtains, wiping down the arms of the chairs with a damp cloth—I wondered if he was thinking the same. The thought got me going and as the day wore on I became preoccupied with the matter of my library. The volumes on the shelves amounted to hundreds. I decided to set myself the task of deciding which ones were worth keeping. The rest could go to the university library. A donation. That was the way to do it. This new angle on the idea invigorated my project with purpose. We are like caged pets, we elderly. Like mice or hamsters, constantly reordering our small spaces, taking turns going round and round on the wheel to stop ourselves from going mad. A year ago I’d ordered the whole interior of the house redecorated. Two painters arrived with dust sheets and set up their ladders. From time to time I’d mount the stairs to check their progress, make sure that they didn’t spill paint on the parquet floor, but also to watch the pair of them balanced perfectly on a single board suspended between stepladders while they painted the ceiling. They talked between themselves, all manner of subjects, proletariat wisdom prompted more often than not by the words issued from their wireless. They did not mind me, it was not their place to do so and besides they knew I had little enough with which to occupy myself. It was at this time I began to suffer problems with my breathing; the fumes of the paint, you understand. Before then, a dry cough that bothered me occasionally. I put it down to the harmattan wind, pollen from the garden, the smog of traffic fumes that lay across the city. I hadn’t been to see a doctor. For what? So the man could tap my chest, write a prescription for some antibiotics and then chase me for an outrageous sum? A spider had spun a web in one corner of the ceiling, silken trapeze wires. And over on the carpet, flecks of white powder, missed by Babagaleh. Cement dust. I saw a woman once, the loss of whom I mourned, even before I had spoken a single word to her. 20 January 1969. The faculty wives dinner. We, the bachelors, gathered together at the bottom of the lawn, a patch of untended weeds. On the other side of the grass was the reception line. I was listening, or at least making the appearance of it, to my companion complain about the reallocation of space in the faculty building. He had lost out, which was a shame, no doubt. I looked away, towards the arriving guests. She wore a blue gown and, as she descended the stone steps to the lawn, her fingers plucked lightly at the fabric, which clung to her in the heat. I watched her and felt a surge of feeling, that then nameless emotion. The first conscious thought I had came moments later—and it struck me like a blow—the man coming down the stairs a pace behind was her husband. Within a few yards of the receiving line, I saw him move away. Not her husband. Relief, a cold breath down my spine. Then I saw her reach out her hand and touch him lightly on the sleeve. And with that light touch, made with just the ends of her fingers, she may as well have had the strength of ten men, so quickly did he yield and alter his course back towards the long line of people. I saw how he submitted his will to hers. I saw her smile, an upward curving of her lips, faint and sweet. A smile he returned, gracious in defeat. Seconds had passed since I first laid eyes on her and I’d already lost her twice over. I excused myself, placed my glass on the tray of a passing waiter, moved across the lawn and stood at the end of the receiving line next to the last man, a fellow I recognised vaguely from the faculty hierarchy. I nodded and he nodded back, barely registering me, having lapsed long before into the sort of stupor such social obligations are inclined to induce. I shook one or two hands, muttered greetings. Nobody knew or cared, their minds were already turned to thoughts of alcohol and food. And then there she was, standing before me, her hand held out, smiling. I took her hand. I spoke my name. Saw her smile, a poor man’s version of the smile she had given to her husband. She moved on and hovered a few yards away while I shook her husband’s hand. Together they walked across the lawn, his hand once more at her elbow. My eyes followed them. I realised I had no idea of her name, for it had been obliterated in the moment of our meeting, by the drumming in my ears. The tea had cooled by the time I got around to drinking it. I have a dislike of lukewarm liquids. I carried the cup across the room and set it down on a low table while I heaved open the glass door to the verandah. Outside I poured the liquid over the railing into the flowerbed and watched with satisfaction as it bored a hole in the dry earth. The garden had suffered during the drought; bare patches of rough earth had appeared in the lawn, the beds looked more like neglected graves. By the time I returned to the chair, the effort had brought me out in a sweat. I poured myself a fresh cup of tea, and drank it carefully. I cracked one of the eggs on the side of the tray, and picked at the shell with my fingernails. Then I poured a little salt on to the plate and dipped the egg into it. Babagaleh never had subscribed to the view that an egg could be overcooked. It was as much as I could do to swallow. I returned the rest to the tray. Still no appetite. It is a mockery. It should be liberating, the absence of a desire. Instead you feel another kind of longing, for the desire that is lost. I yearned to want food again, to feel hunger and then to indulge the pleasure of sating it. I felt a sudden, whimsical urge for a cigarette. What could be more pleasurable than casually inhaling toxins, deep into the lungs? In time I levered myself back to my feet and went to sit behind the desk, swivelled the chair around to face the bookshelves. I selected a volume and brought it down. Banton’s West African City, published under the auspices of the International African Institute. The book was cloth-bound with stitched seams, the paper yellow and grainy beneath my fingertips. I searched the front pages for the publication date. 1957. In the margin were scribbled some words. Had I not been as familiar as I was with the hand, I would have struggled to decipher the words: Give me a full belly and a hammock and I shall enter my own rest. Julius. It had been a habit of his, typical of the man, to enter marginalia into a borrowed book. I closed the page, took a few minutes to bring control to my breathing. I leaned over the desk and let the book drop into the cardboard box by the side of the desk. The next volume I picked up was Lethbridge Banbury’s book on these parts. Now this one was actually worth something. A handsome deep-red volume. On the cover a gold-engraved image of an elephant and a palm tree. Hand-cut leaves. Black-and-white illustrated plates, each one protected by a leaf of tracing paper. I can quote the first lines by heart, still: Why I went to S is neither here nor there: perhaps I took that step from that insatiable wish to “see the world,” which so ardently possesses many Englishmen; or perhaps I was actuated by an ambitious desire of obtaining promotion in a service in which success is popularly supposed to come specially to those who depart from the beaten track in search of it. A tutor who knew my love of books gave it to me, a visiting fellow from a Scottish university. A first edition, published in 1888. It arrived in the post some months after he completed his research and sailed out. I remember that when he drank he liked to recite a rhyme, one about the last colonial Governor. I laughed to humour him. And later again because he would urge me into drinking, behaving as though sobriety on the part of either of us was an insult. That January evening I watched her, she and her husband. They moved through the party with ease, never alone for more than a few moments. Once I stood on the fringes of a group, beyond the edges of the circle, out of the light but so close I could have reached out and touched her. Her husband was recounting some incident, there was laughter—from everyone, except me. I hadn’t been following his words. Instead I’d been watching her. Watching her as she in turn watched him. Our eyes met once. She smiled and looked away. I remembered later where I’d seen him before. One lunchtime in the lecture theatre, a meeting convened by the students. To discuss the expulsion of one of their number, as I recall. I had been sent by my dean and took a seat in the back. My presence went unremarked, which suited me. A couple of paragraphs typed up and placed in the Dean’s pigeonhole. Duty done. In the minutes before the meeting was officially convened I noticed how they gathered around him, the students, breathless and eager. Some way into the meeting the speaker called him to the stage. At first he was reluctant, smiling and waving a piece of paper as if to dismiss the notion out of hand. At the murmured insistence of the room he rose to his feet, suddenly energised, jumped on the stage and delivered a few words. He stood with his elbow on the lectern, leaning forward, gazing directly into the faces of the audience members. The air trembled with the sound of his voice. A flurry of excitement. Clapping, like birds taking off. What was it he had said to them? It’s gone. I spent the rest of the morning and the best part of the afternoon searching. My search was, by necessity, both slow and painstaking. When Babagaleh arrived back from the mosque, I asked him. In answer he gazed at me, as was his way, his first instinct to conceal all knowledge, all evidence of intellectual process, to turn his expression into a smooth rock face upon which no accusation could gain purchase until he knew exactly where my question was heading. He left the room and returned with a cardboard box marked Milo Milk. “Storeroom, Master.” He gazed at me, a look of blank innocence. “On the desk, please.” I could no longer afford to become overheated. I knew it. Babagaleh knew it too. That night I sat up late, going through my notebooks. There was no power; Babagaleh lit a pair of candles, and though it strained my eyes and the fumes from the wax hurt my chest, I continued reading. The notebooks had survived, though the rubber bands that held them together fell to pieces in my hands. A few pages were missing, others latticed by the work of silverfish and termites, the occasional sac of desiccated eggs, filaments and threads of unknown insects. The ink of my fountain pen had faded to a muted grey on the pages. But yes, intact. More or less. They were not diaries. Just notes I made for my own benefit. A relevant date. Thoughts on an upcoming lecture. The title of a book or paper. Lists of things to be done. 25 November 1968. Two months before the faculty wives’ dinner. In my own hand, the events of that day. Brief minutes of the meeting, his address to the students. No record of his words. I recalled I had included mention of his address in my report for the Dean. Julius Kamara. An afternoon as I worked on my lecture notes I spotted him from my window. A distinctive walk: easy strides, one hand in his trouser pocket. I laid down my pen, the better to follow his progress. I watched him cut the corner of the grass, turn right and push with both hands through the double doors into the engineering department. The next time I saw him I was on my way home. A Thursday, walking through the campus, I saw him ahead of me. For a minute or two I kept pace behind him. A couple of students sitting on the steps of the lecture theatre called out to him and stood up, brushing the seats of their trousers, gathering their books. He paused, waited for them to reach him. I passed by unnoticed. Just outside the gates of the university, a white Volkswagen Variant was parked up, the engine idling. She was sitting in the driver’s seat, her elbow resting on the ledge of the open window. She wore a sleeveless dress of pale cotton, her hair wrapped in a large orange scarf. From where she sat she might have seen me in the mirrors, but she didn’t. I slowed my pace. I approached the car. She started, pulled from her thoughts. “Hello,” she replied, applying a sufficiency of good manners, accompanied by the barest of smiles. Something women do when faced with a man they don’t recognise, hoping neither to encourage nor to offend. “Of course,” and she gave me a faint smile. “Thank you.” And she smiled again, more generously this time. “Thank you,” she called again after me. I gave a modest wave of acknowledgement. Minutes later they passed me, Julius at the wheel. The sun was low. I don’t know if they even noticed me. Either way the car drove on without slowing. I walked down the long road in the growing darkness. The shadows of the trees that lined the way crept steadily outwards, the colours around me dissolved into grey. The white-painted bases of the tree trunks, illuminated by the fading sun, stood out like sentries. I watched the tail lights of the car until they were fireflies in the distance. I stopped and took out my notebook, pressed it against the smooth bark of a tree and wrote down the registration number of the car, while it was still in my head. And another, single word. Friday. A few days after our encounter on campus I had an appointment in town. Afterwards I cut through one of the side streets to the main road, where I might catch a bus back to the campus. It was a quiet, once affluent residential street. There was a kiosk supplying soft drinks and cigarettes; further up a tailor’s dummy displaying an embroidered gown stood outside a shop. Parked on the street in front, a white Volkswagen Variant. The heat of the car’s boot beneath the palm of my hand told me it had been sitting in the sun for some time. I took a moment to look around. Either Saffia was visiting a friend or she was inside the tailor’s shop. I took the only option available. It occurred to me briefly, as I stepped out of the sun and into the shop, that perhaps Julius was using the car. But by then I had ascertained he spent long hours on campus. And in that matter I was correct. For there she was, at the back of the shop, wearing a simple print dress, standing together with one of the tailors. A magazine lay open on the table and they stood with their heads bent over it as she thumbed through the pages. I watched. It gave me pleasure, knowing she had not seen me. The line of her neck, the way she licked her thumb to turn a page, her solemn expression as she considered the merits of various styles, the indulgent smile she gave the tailor. “Sir?” The tailor closest to me had paused his treadle and was looking up at me. I gave a wave of my hand in Saffia’s direction. He nodded and bent back to his work. Presently she concluded her business and turned to leave. Saying goodbye, gathering up her magazines, looking for her car keys, she was distracted. Only when she nearly collided with me did she look up. “I’m sorry. Please excuse me.” I stepped aside, as if I had been at fault. “Yes, yes.” She put out her right hand, and for the second time I took it in mine. “As you see. Perfectly well.” I made no move to cross the threshold, and this caused her to hesitate. “No, no,” I said. “Let me help you with those.” And I lifted the pile of magazines from her arms. Saffia unlocked the car and I eased myself into the passenger seat, twisting to place the magazines on the seat behind. I saw it was folded down, the boot scattered with old newspapers and earth. So I sat with the magazines on my lap. We travelled through the city. The schools had broken for lunch, the children chased each other down the sides of the streets. It was the middle of the windy season, the air heavy with a cindery dust. Saffia concentrated as she drove, her attention fixed on the road. While she drove I watched her hands. She gripped the steering wheel on either side, the way women do. No jewellery, save a gold wedding band. The nails were short and well shaped, unvarnished. Under one or two of the nails of her right hand I noticed a dark rim. Occasionally I allowed myself a glance at her face, her profile silhouetted against the glare of the window. The upward sweep of her eyelashes matched the curve of her top lip. As she slowed around a fellow pushing a barrow she bit faintly at her lower lip. And glancing left and right at a busy junction she ran her tongue fleetingly across the upper lip. 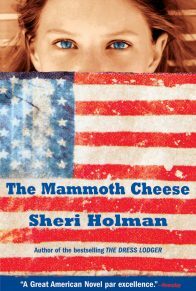 Traces of light outlined the arcs of her cheekbones, her forehead, the bridge of her nose. The neck of her dress exposed her throat, below the collarbone the swell of her breasts. Across her thighs her dress lay faintly wrinkled, the muscles beneath tensing as she worked the pedals. To the right of the road lay an area of wetlands, a nature reserve. They are there still. Too wet for construction. Back then you had a view over the wetlands from the road, all the way to the sea. I turned to look. “I’m told there are some remarkable orchids growing there,” I said. “Not recently. But a few years ago, yes. A group of us from the horticultural society made a visit. Once you know where they grow it’s easy to find them again. Not so easy at first.” She stopped talking as she sped up to overtake a taxi cruising for customers. Possibly she might offer to take me there. I felt her hesitation, considering whether such a thing would be appropriate. “Thank you,” I said. Though her words hadn’t quite amounted to an invitation. Minutes later we pulled up outside the faculty buildings. I stepped out of the car and leaned into the open window to thank her. She inclined her head and gave a slight smile of acknowledgement, which suddenly and without warning transformed into an expression of pure joy. In the instant of responding, I realised she was no longer looking at me. I straightened and turned. Julius. When I shook Julius’s hand I could tell he was struggling to place me. Just as I once considered it my misfortune to be unworthy of being remembered, so it is the misfortune of more charismatic types to be rarely forgotten. With others around them to do the work they naturally become poor at retaining names and faces. It was evident that this situation was common to Julius and didn’t disturb him in the least. Saffia explained we had met in town. He patted me on the shoulder; his expression was one of agreeable interest. Not the jealous kind, or perhaps he simply felt unthreatened. When Saffia mentioned flowers, I saw my opportunity and took it. I stood and watched while Julius opened the back door of the car, dropped his briefcase on top of the newspapers and walked around to the driver’s seat, while Saffia shifted over on to the passenger side. He climbed in, released the lever and pushed the seat back. They waved at me as they drove away. I stood there and my thoughts followed them. For a moment I felt strangely abandoned. But the feeling passed, because by then I was in possession of an invitation—to visit their house Monday coming. The address and the time were carefully noted in my book. Saturday morning. I was sitting on the verandah after breakfast, looking through the newspapers and smoking a cigarette when Vanessa showed up. She wore a sullen expression, her lips pressed so tightly together that when she opened her mouth to speak I could see a line in her lipstick, like a tidemark. In the last few days I had completely omitted to call her. Clearly she had come to do battle. Before she could get the words out I said, “Just the person I was thinking about.” True, more or less. I’d woken filled with early-morning desire. Vaguely, before I got up to use the bathroom, I had wanted her there with me. Even now, despite her sour expression, I felt the returning urge. She pushed her lips into a pout. She wore a narrow skirt and a tight-fitting tamule with puffed sleeves. Her hair had been straightened and tonged into outsize curls. It was not a style I particularly admired. Still, it spoke of the effort she had invested in her appearance that day. Certainly she wasn’t on her way to church. “Where have you been?” She stood, hands on hips. In the kitchen I spooned some instant coffee into a cup, poured hot water on to it and filled the cup to the brim with Carnation Milk. Any less and she would act as if I was a miser. Vanessa was the kind of girl who deplored meanness, especially in a man. When I went back outside she had sat herself down at the table. I set the cup carefully on the table along with a box of sugar cubes. “Help yourself,” I said. Sugar was still a small luxury to a woman like Vanessa. After a moment’s pause she reached out and took two cubes from the carton, dropped one into the cup, placed the other on a teaspoon and began to lower it in and out of the hot liquid, watching the cube crumble and start to dissolve. Still ignoring me she raised the spoon to her lips. “I could have come and cooked for you.” She kept her eyes lowered. “You’re too good to me.” I stood up and went to stand behind her. I leaned over and pressed my lips into her neck. She made as if to squirm away. I bit the flesh lightly. She giggled and protested, but with no real conviction. I pulled her up, turned her to face me and kissed her. I tasted the sweetness of the sugar on her tongue, the wax of her lipstick. We lay in bed together until mid-morning. Later I watched Vanessa as she moved around my apartment, tidying papers, clearing the table, putting my shoes away in the cupboard. In those moments I found myself already comparing her to Saffia. Vanessa was the younger and yet that did not make her any fresher or more innocent. Naive, yes. She tried for a greater sophistication than she possessed. I was happy enough to have her around, she barely had the power to irritate me. Each time the door closed behind her, the space was filled immediately, there was no vacuum where she’d been. My thoughts, in her absence, were not of her. 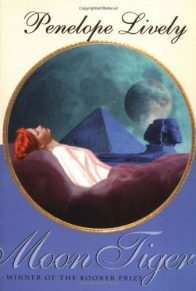 Yet Saffia had already stepped into my dreams. Vanessa wanted to be the wife of a university professor, the ambition she had set herself. And maybe one day she would be, though she gave herself too easily. I wished her well. I lay propped up against the pillows and watched her trying to create a place for herself in my life. It seemed a shame really, I told myself, but a time was coming when I would have to stop seeing her. 1. At the start of the story, a dying old man, Elias Cole, is chronicling his life to Adrian, a British psychologist. He says, “This is how it is when you glimpse a woman for the first time, a woman you know you could love. People are wrong when they talk of love at first sight. It is neither love nor lust. No. As she walks away from you, what you feel is loss. A premonition of loss” (p. 1). How does the premonition reappear in the course of the story? 2. Cole’s narrative introduces two of the principal characters, Saffia and Julius Kamara. What first impressions of these people do you get from Elias’s description? Were the impressions accurate? Is the storytelling more confessional than therapeutic? Is Cole creating a myth or unburdening himself? 3. What brought Adrian Lockheart to post-conflict Sierra Leone? What keeps him there? “Adrian’s empathy sounded slight, unconvincing in his own ears. So he nudged his patients along with questions aware of the energy it cost him to obtain a sliver of trust” (p. 21). How do his sessions with his patients affect him? Did you find the name “Lockheart” symbolic? How does Adrian relate to his patients, their experiences, and their culture? What is the divide he cannot cross? 4. A dramatic medical emergency immediately precedes the first meeting between Kai Mansaray, an orthopedic surgeon, and Adrian. How do their differing reactions serve to clarify the differences between the two men? 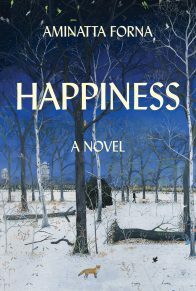 “In the days and weeks that follow, the rhythms of their lives begin to intertwine” (p. 51). In what ways do they start to connect? How does this affect each of them? What is the importance of the friendship to each of them? 5. Elias Cole unravels his story to Adrian, very slowly and very carefully. Why? From his portrayal of his own interaction with the Dean, what do you gather about the nature of his character? Why is he mesmerized by Saffia? 6. When they first meet, Ileana is cold to Adrian. “You should have been here from the start. But of course you weren’t. Nobody was. You all turn up when it’s over” (p. 85). Why does Ileana feel this way, and is her anger justified? What makes her experience different from Adrian’s? Which other characters share her opinion? When he leaves, has Adrian verified or disproved her initial judgment? What is different about her that makes her ask to stay? 7. “And the bridge is the one Elias Cole described. Exactly as he described, Adrian is certain of it. Julius’s bridge” (p. 89). This bridge is mentioned several times in the novel. Why is it “Julius’s bridge?” Why is it significant? Talk about some of the other connecting elements of the story. 8. “Agnes is searching for something. Something she goes out looking for and fails to find. Time after time” (p. 116). Adrian is anxious and troubled by his patient—Kai calls her his holy grail. Talk about her unusual condition—an obsessive traveler, a fuguer, and how it connects with her wartime experience. Is Adrian’s concern just clinical? Can he help her? Why is she so compelling? 9. 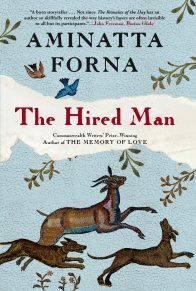 “The man on the table has dreams, he dreams of marrying” (p. 117). What is the nature of Kai’s interest in his patient Foday? How does he separate his professional and personal lives? What do you know about Kai from his relationships with his old friend Tejani, and later with Adrian? How do these friendships differ? 10. The July 1969 moon landing, as remembered by Elias Cole, is a watershed event in the novel. “‘To fly,’ repeated Julius. ‘To test the limits of our endeavour, of our courage.’ He was serious. ‘Otherwise what point is there in being alive?’” (p. 150). How are the various characters affected, are they changed? Discuss the significance to the story. 11. “Elias Cole. How that name takes Kai back to another time, drops him down into a place in the past he doesn’t want to go” (p. 176). How do the secrets that are guarded keep people from confronting the past? How does it affect the present? Who are the characters who encircle Elias Cole? How are they connected? 12. 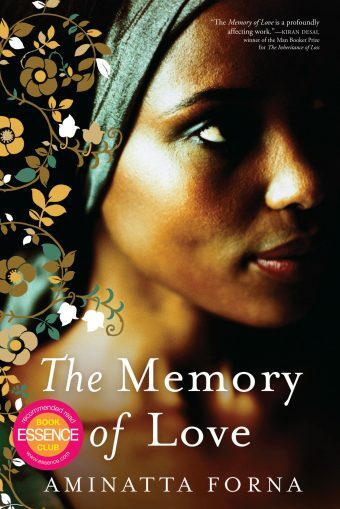 Memory is a central theme of the book. Talk about the memories of war and of terror, of love, and of pain. Which characters are most haunted by the past? How does each of them endure? 13. Adrian first notices Mamakay when she is with Babagaleh, Elias Cole’s manservant. “As he walked away, he had been suddenly and shockingly aware of something fleetingly and exquisitely possible. 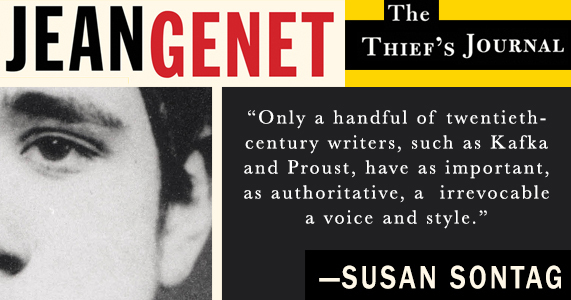 So much so, he almost turned back, to say something to Babagaleh—anything—to find a reason to look at her again” (p. 137). Why is Adrian drawn to Mamakay? Do you think there are some parallels between this relationship and the one between Elias Cole and Saffia? What are the differences? 14. How is Adrian changed by his relationship with Mamakay? How does it affect his views of the country and its people? 15. “A lot of people here believe in dreams. So do you, don’t you? Psychologists?” (p. 278). Mamakay tells Adrian. People sleep and wake and dream throughout the story. What shapes the dreams? What is their impact? 16. “Much later, after they have swum together, he watches Abass play on alone in the waves, crashing through the surf over and over. And he feels his love for the boy rise in his chest, pressing against his ribcage, crushing his lungs and his heart, as if it would suffocate him” (p. 262). Freetown is located on the coast, and the closeness of the sea is always present in the novel. What role does the sea play? Why does Kai feel like a “drowning man watching a ship sail by” (p. 342)? Find other references to the sea in the book. 17. What is the nature of Kai’s relationship with Abass? Why is it such a visceral one? What does Kai do for Abass and what does Abass do for Kai? 18. Late in the book Attila, the head psychiatrist of the mental hospital, says to Adrian, “When I ask you what you expect to achieve for these men, you say you want to return them to normality. So then I must ask you, whose normality? Yours? Mine?” (p. 319). Discuss the nature of each man’s normality. Have Adrian’s ideas about normality changed since the beginning of the book? 19. “But the hope has to be real—Attila’s warning to Adrian. I fall down. I get up. Westerners Adrian has met despise the fatalism. But perhaps it is the way people have found to survive” (p. 320). What do you think of this hypothesis? Do you believe, as is suggested, that the population as a whole is suffering from PTSD? Is that everyone’s secret? 20. Did you find Elias Cole’s final revelation concerning Vanessa shocking? How do Cole’s secrets differ from some of the other characters secrets? Do you think Adrian has gotten to the “point of Elias Cole” (p. 401)? Is Cole a sympathetic character? 21. “Kai is right. For years nobody wanted to know about the killings, the rapes. The outside world shifted its gaze, by a fraction, it was sufficient. The fragmentation of the conscience. What indeed did Adrian think he was doing here? The truth—he had never known for sure” (pp. 424-425). What do you think Adrian was doing in Sierra Leone? Why did he stay and why did he decide to leave? 22. In the end, why didn’t Kai leave? “They do not see, for they cannot, as they cross the peninsula bridge, the letter traced by a boy’s forefinger into cement on the far side of the bridge wall half a century ago, beneath the initials of the men who once worked the bridge. J. K.” (p. 445). Are there some distances that cannot be brdged?